Endeavour Press is the UK's leading independent digital publisher, promoting and selling ebook editions of works by new authors as well as bringing out ebook editions of out of print books. Price: $3.99 (as of 05/30/2015 at 5:30 PM ET). When Allan Rutherford is found, fallen, his head cracked open, Beldon Magna is devastated. More unsettling still, a child's mask had been left over his face, a wide smile upon it. DI Calderwood and DS Bulmer, leading the investigation, are as unnerved as the locals. As the village tries to go about normal life, idle gossip reveals that there are plenty secrets people are trying to hide. Desmond Appleby and his partner Gwilym, end up the inadvertent sleuths once more, and may be able to give the police the break they need. Will they be able to convince the police of their theory before the killer strike again? 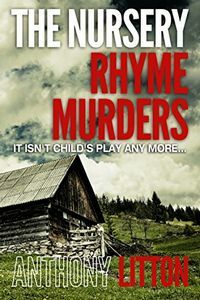 Or will more people fall victim to the nursery rhyme murders?